The Minister for Children and Youth Affairs, Dr. Katherine Zappone has today launched the new website of Kilkenny County Childcare Committee. 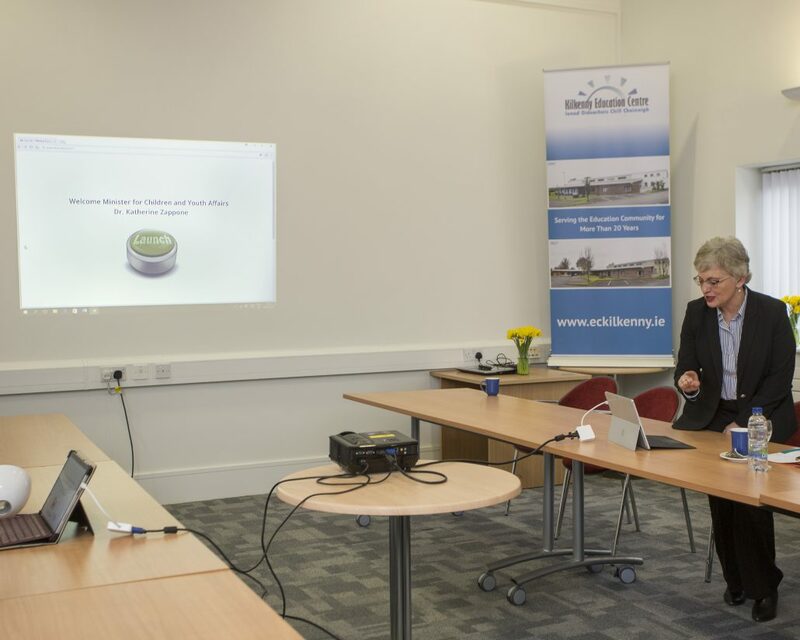 During her visit to the offices of Kilkenny County Childcare Committee, Minister Zappone met with the Board of Directors, manager, and staff team to discuss key issues of relevance the Early Childhood Care and Education sector in Kilkenny City and County. The committee showcased and discussed some of their work in supporting services and parents across the county. The Minister also met with the chairperson, director and staff team of Kilkenny Education Centre, in addition to the staff from other agencies who are located in the centre along with the county childcare committee. A presentation of ‘Starting School’ a collaborative publication by the Education Centre and the County Childcare Committee was given to Minister Zappone.